Have you ever wished your teeth looked better? Is there a chipped tooth that embarrasses you? A discoloured tooth that bothers you? A tooth gap you wish you didn’t have? Crooked or misshapen or small teeth? If any of these ring true, you owe it to yourself to investigate Lumineers. Lumineers are a version of veneers. Lumineers have actually been around for 30 years, so they are a tried-and-true solution today. Lumineers are digitally designed. They are ultra-thin (about as thin as a contact lens). Lumineers can be applied to your teeth without drilling, without shots, without any pain. 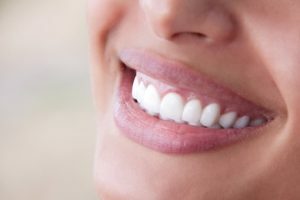 Lumineers can give you a natural looking smile. That’s why Lumineers are so popular. And Lumineers are even reversible, as your natural teeth are not permanently affected. So you have nothing to lose and a beautiful smile to gain.